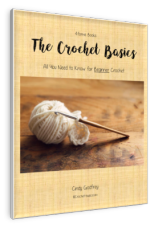 There are only six basic crochet stitches --slip stitch, chain stitch, single crochet, half double crochet, double crochet and treble crochet. We've already covered a couple of these in Crochet Essentials, but we'll review them here, too. All other stitches are just variations on these six. This is another reason that people love crochet. There just isn't a lot to learn to get started. Endless types of fabrics are created using these basics. They are made either by using the stitches alone, making a very uniform pattern or by combining different stitches and making a more unusual fabric. 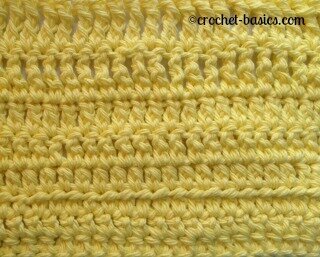 Since these basic crochet stitches are so important it is best if you learn them one at a time. Practice each one until you’re confident with it before continuing on to the next stitch. I have lots of pictures to help you. So, you can see how each step should look. All stitches are made by yarning over and pulling loops through. So simple. They differ only by the number of yarn overs and loops pulled through. So, you can see that once you have learned the first steps, you are well on your way to crocheting. 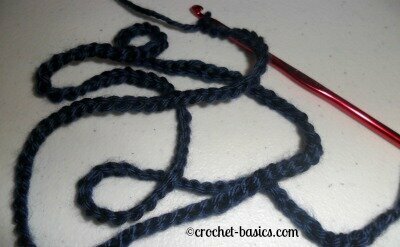 Use a light or bright colored yarn while you're learning your stitches. This will make it much easier to see your work. The chain stitch is your starter. Almost every project will begin with it and every project will use it in one way or another. It is used quite often in combination with other stitches. 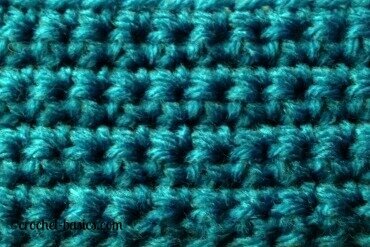 Slip stitch is usually used to end rows or rounds. It adds very little height to your work. So, it's a great transition stitch. Single Crochet is probably the most common of stitches. It's simple and quick and adds density to your work. 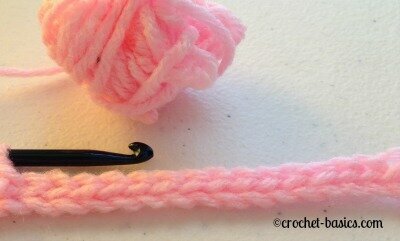 Half Double Crochet is slightly taller than single crochet. It is really the first of the post stitches. That means that it creates what looks like a post when it’s stitched. However, it's post isn't very tall. Double crochet has a very defined post. 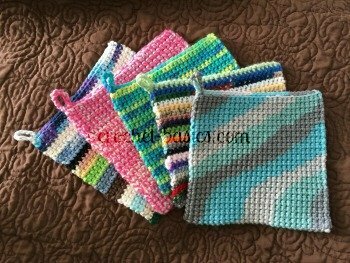 It forms a lighter fabric than single crochet and can be worked rather quickly. 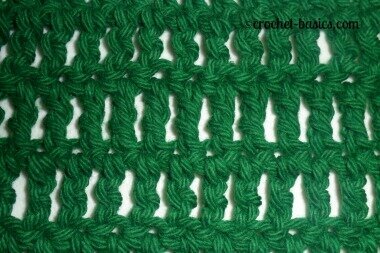 Treble crochet is a much taller stitch. It will give your work more of an airiness and light feel when worked alone. It is also used a lot in combination with other stitches. Those are your basic six. 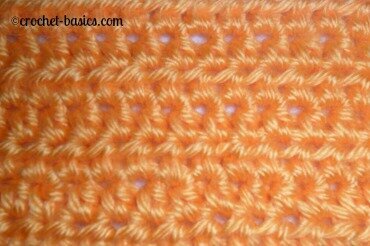 Once you master them, you will have your foundation to work any stitch in any pattern. It’s just a matter of how they are combined together. Now you're ready to expand on them. 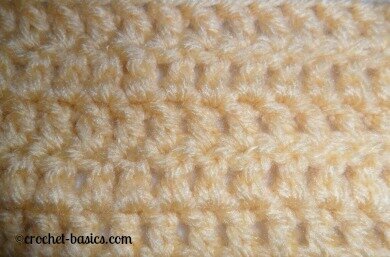 Let's take a look at some additional crochet stitches that you can create. Extended stitches are exactly what they sound like. They are either single, half double, double or treble crochet -just with one additional step. 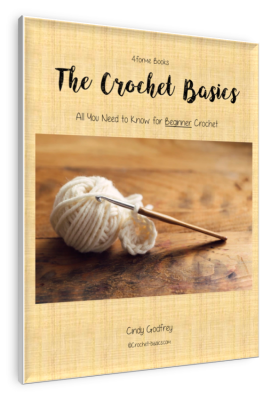 You're ready to get started learning Crochet Stitches. Have fun with them!